There’s probably a shredder in your office and it can be tempting to think that means you have document destruction needs covered. Just assign some interns to run all of those sensitive files containing personal information about customers and staff through the shredder and throw the resulting mess in the bins outside. It’ll take them all night but you’ll save on hiring a professional team. What could go wrong? There’s no chance someone could piece those documents back together is there? Imagine doing a jigsaw puzzle that handed you cash when you finished it. That is basically what you are providing to information thieves when you shred documents yourself and put them in a bin. There have been multiple cases of companies suffering serious security breaches after criminals pieced ‘destroyed’ documents back together. In fact, these days, there are programs like Unshredder that people can use to make the process faster. The results could be disastrous. Your employee’s identities could be stolen and misused, causing great harm to them and opening you up to legal liability. Corporate secrets from your company could be stolen and sold to competitors. Someone might even get enough information to imitate your company, transferring your profits directly into an untraceable account. In 2015, around 75% of companies experience at least one fraud incident, and we hate to inform you that 81% of perpetrators identified were their own employees. A lot of the time, the culprits were senior or middle management employees with delusions of corporate espionage glory. 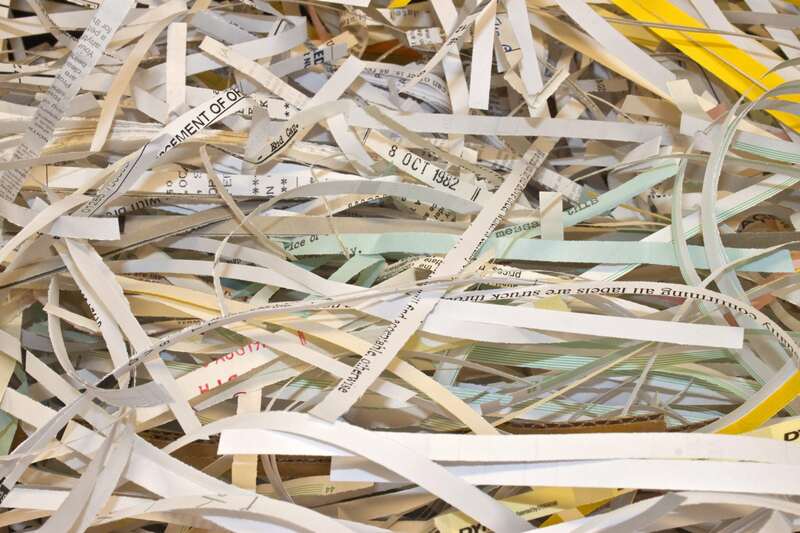 In the majority of cases, the fraud was committed by junior employees – the very people most likely to be landed with the menial task of document shredding. According to the Cyber Security Intelligence index, around 95% of all security incidents involve simple human error. That’s why it’s a good idea to develop a working relationship with a professional document destruction company. They will help you establish proper document management processes, rather than a haphazard in-house approach. For example, creating workplace standards whereby all confidential documents that are no longer needed are immediately placed in locked consoles for collection by shredding professionals. There are laws that affect Melbourne surrounding the destruction of documents. Non-compliance can open your company up to hefty fines and potentially even legal consequences. On the other hand, professional document destruction companies stay up-to-date on all privacy laws and compliance requirements so you won’t have to worry about being caught out. They will also issue an official Certificate of Destruction so you can demonstrate compliance. Wiping a computer or hard drive means you can’t access the files easily, but they are actually still there and that information can be accessed quite easily by information thieves. Researchers have been able to access hundreds of PINs and tens of thousands of credit card numbers from old hard drives they bought on eBay. Your company’s hard drives and computers are just as vulnerable, so deleting files and simply throwing the machines away is not an option. You need experts in e-waste recycling who can thoroughly destroy the devices themselves to make data retrieval impossible. For confidential, reliable document destruction for your Melbourne office, get in touch with In Confidence online today!